Today, I “discovered” Little Wilson–much in the same way Columbus “discovered” the New World, I suppose. I have made three different attempts to find the trailhead for this particular crag, and today–equipped with a couple of reliable leads, my two sons and I finally found it. To be honest, the trailhead was so obvious and so well-marked, it was somewhat embarrassing that I’ve overlooked it three times. Guaranteed though: we will be down this way again! 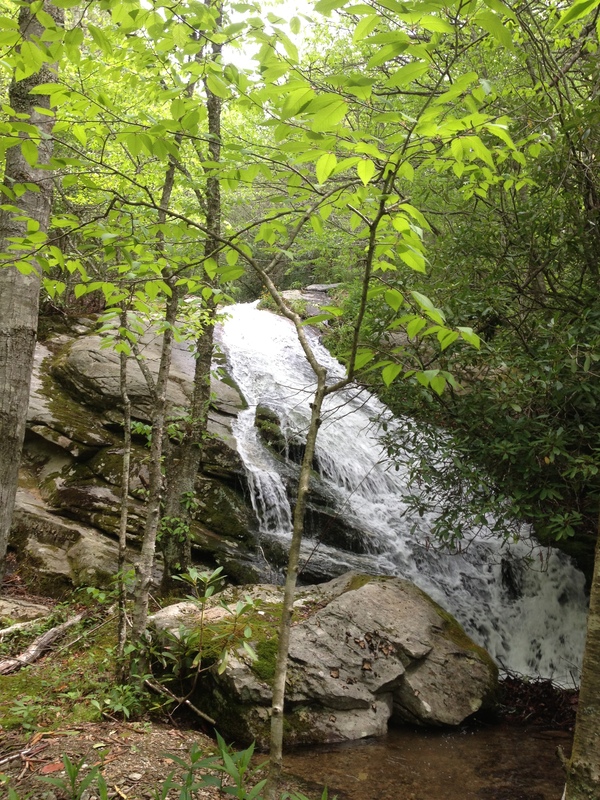 The hike down was quite nice, about half of it running beside the Little Wilson Creek with its multiple waterfalls. And the crag itself is really fun as well–big blocks of granite with interesting route lines, and at a grade that we can all climb. The rock was pretty wet still from the steady rain we had all day on Thursday–which made for beautiful falls, but not such great climbing. In fact, we only climbed two routes, and my younger boy passed entirely. Then we took our sandwiches over to a rock slab in the middle of the creek and had a lazy lunch. What kept dawning on me all morning at the crag–and later in the day, when I dropped the boys off at a trout lake to spend a couple of hours fishing–was that everything around me was going to be in my backyard in just a few weeks. Quite nicely, I believe. Thanks. I suppose I am discovering something about myself as well. And just like Little Wilson, that trailhead has probably been just as obvious all along. This entry was posted in Uncategorized and tagged attention, gratitude, nature, simplicity. Bookmark the permalink. Thanks! It certainly feels right on so many levels. It really is a beautiful hike. The waterfall in this post actually has a twin about ten feet to its left. They both come crashing down at a good grade for 20 or 30 feet before rejoining each other and heading further along. I couldn’t quite capture both, so I chose what I thought was the prettier of the two. We’ve picnicked on a boulder in Wilson Creek ~ we used to go to a place called Brown Mountain Beach near Lenoir. Wonderful place to hang out. Little Wilson joins up with Wilson Creek before it starts wending its way out of the mountains through Wilson Gorge. I haven’t been to Brown Mountain Beach–thanks for the tip. The climbing looks great! I miss it. Small towns have a way of focusing on nature and family which I think is cool. No climbing where you’re at, or have you just left it behind? 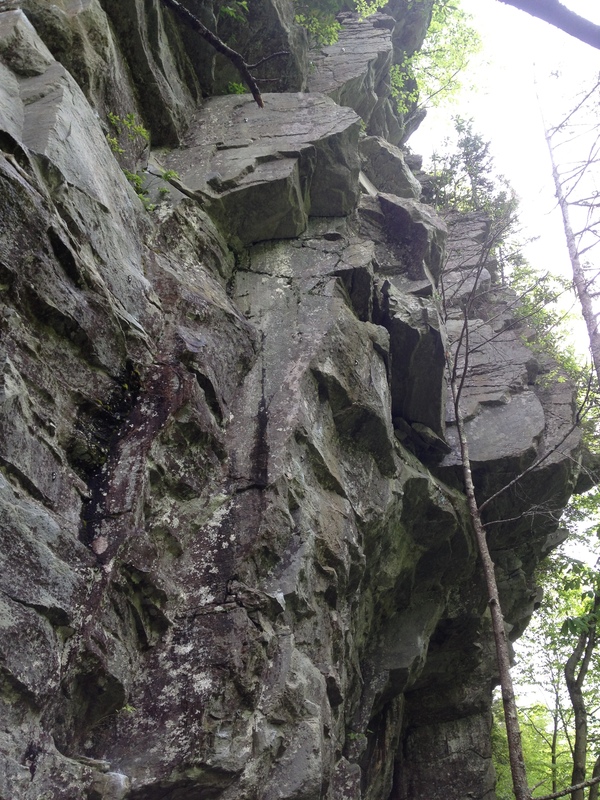 I didn’t start climbing until I was in my 40s…. We did it before kids. Now waiting until they are heavy enough to climb and wear a harness. Have you checked out the website Cragmama? I think you will find it pretty inspiring! We have a Little Wilson up here in Maine, too! No climbing, unfortunately, but some beautiful fishing. I love living in a small town, especially a small college town. I grew up in a suburb outside Boston and I have a hard time imagining moving back there. Me too! I’ve got all sorts of relatives scattered about between I-95 and I-495. I hope you’re right–and my gut tells me I already have! I’m back in Atlanta now for another few weeks, and I’m already feeling more like home is up there rather than down here.